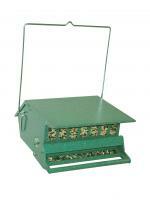 Brome Squirrel Buster Finch Feeder. Guaranteed Squirrel Proof Feeder 1.4 Qt. capacity. Effective against red and gray squirrels. Great for Nyjer and Hulled Sunflower Chips. 4 Clinging Ports, 4 Perching Ports. My husband wanted a finch feeder, so, I went online and found this site. 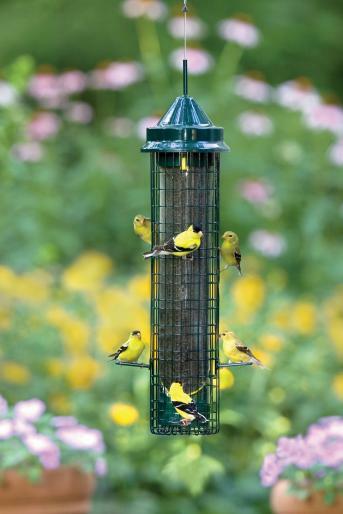 The feeder is made well and the finches found it very quickly. We love watching them feed. Great product!